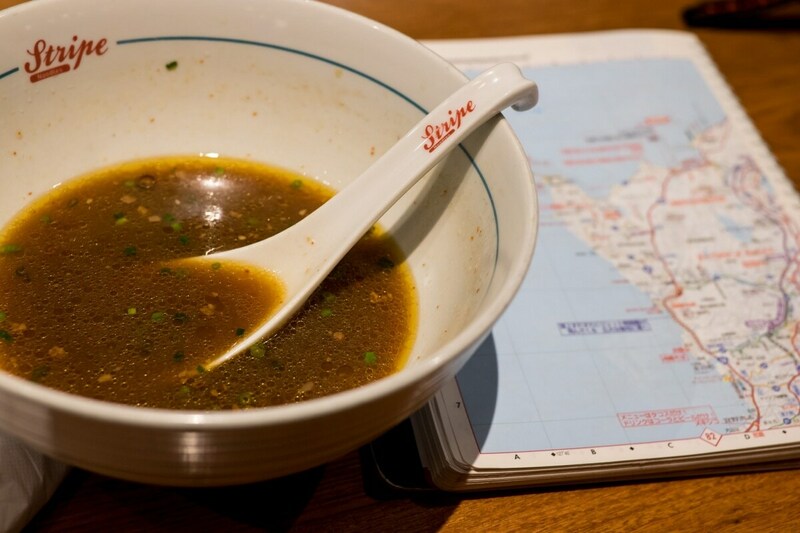 Ramen Adventures' Brian MacDuckston headed down to Okinawa to rent a motorcycle and slurp a bowl of beef ramen topped with a steak at Stripe Noodle in Naha. That's right: topped with steak. Read on to see what he had to say! Ramen Adventures seeks out the best ramen shops in Tokyo and beyond. Blogger Brian MacDuckston has been scouring Japan for great eats since 2008, with hundreds of reviews complete with photos, maps and shop details.